In an attempt to leverage technology for civic responsibility, international school Chettinad Sarvalokaa Education and not-for-profit organisation, Reap Benefit are conducting a two-day event called Sarvalokaa Hackathon 2019. It is an initiative that will bring together young people from various spheres on one platform to solve local, civic and environment issues in their neighbourhoods. The Hackathon will take place on February 1 and 2, 2019 at Chettinad Sarvalokaa Education, inside the Chettinad Health City Campus, Rajiv Gandhi Salai, Old Mamallapuram Road, Kelambakkam. The hackathon will comprise of workshops on rapid prototyping, design thinking, electronics and coding by some of the expert mentors from Reap Benefit. 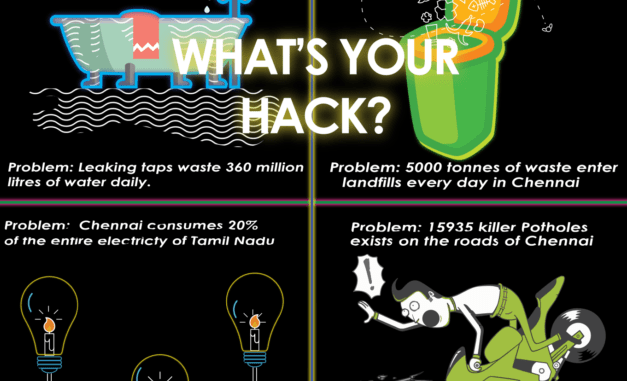 As part of the hackathon, students form teams, select an issue concerning them or their neighbourhood — such as waste management or traffic or air pollution, engage with relevant stakeholders and authorities and come up with a solution to resolve the issue. The goal is to inspire and activate every citizen to solve problems in their local communities. The hackathon aims to activate public problem solving skills amongst young citizens through data orientation, critical thinking, community collaboration and entrepreneurship while getting the students to participate and engage on the issues that impact their quality of life. This is an opportunity for the students to network with mentors, experts and fellow change-makers. The top two ideas will receive seed capital of Rs 10,000 and Rs 5,000 respectively and will be incubated by mentors at the Industrial Design Centre (IDC), IIT-Bombay. Football and cricket hog dominant space in the 210 Corporation-owned playgrounds, while the parks are meant for children’s play areas and greenery. 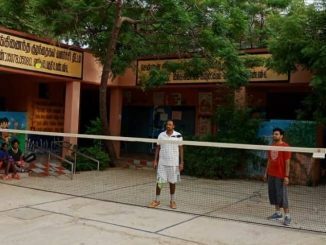 Where, then, can one indulge her love for badminton, which is growing increasingly popular as a recreational sport among Chennaiites?